Authors: Soloviev A.V., Shatskaya E.E. A great role in the pathogenesis of traumas in newborns is assigned to hypoxia and hypoxic hemorrhages, and also to mechanical impacts during deliveries. This is associated with objective difficulties in diagnosis of traumas of organs of the abdominal cavity and of the retroperitoneal space in newborns. Aim. To present and analyze clinical cases of trauma of parenchymal organs of the abdominal cavity and of the retroperitoneal space in newborns. In clinics of children’s surgery seven children with pathology of adrenals, three with trauma of the liver and one with rupture of spleen have been observed within the recent 10 years. No damages to the stomach, pancreas, duodenum, small and large intestine, kidneys and urinary bladder were recorded. In the article clinical cases of trauma of adrenals, liver and spleen are presented. Conclusion. Damages to parenchymal organs of the abdominal cavity and of the retroperitoneal space in newborns are very rare. More commonly adrenals are affected, less commonly liver and spleen. The diagnosis of a parenchymal organ in newborns is a reason for immediate transferal of the child to a surgical hospital. a newborn, trauma of parenchymal organs, trauma of organs of the retroperitoneal space, adrenal glands, liver, spleen. There is no unambiguous description of mechanisms of trauma of organs of the abdominal cavity and of the retroperitoneal space in newborns in literature [1-4]. Trauma in newborns characteristically takes a two-stage course: subcapsular hematoma and rupture of capsule. The first stage is a symptomatic. A high significance in the pathogenesis of traumas in newborns is assigned by some authors (A.V. Geraskin, et al., 2008; T.K. Znamenskaya, 2012) to hypoxia and hypoxic hemorrhages, while other authors (G.A. Bairov, 1973) and (Yu.F. Isakov, 2009) attribute it to mechanical impacts during deliveries (manual handing), since, unfortunately, many factors of delivery intervention are sometimes concealed [2-3,5-6]. This creates difficulties in diagnosis of trauma of the abdominal organs and retroperitoneal space in newborns. 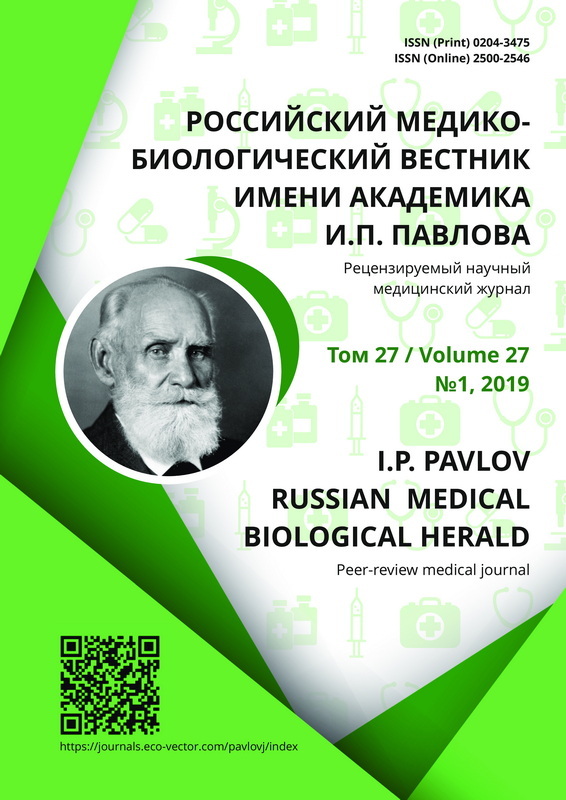 However, introduction of modern radiological methods into medical practice considerably improves diagnosis of many kinds of pathologies, including traumas of organs of the abdominal cavity and of the retroperitoneal space. The clinical presentation of damage to the organs of the abdominal cavity and of the retroperitoneal space is characterized by symptoms of hemorrhages to the extent of hemorrhagic shock. As a rule, on the 3d-4th day after deliveries the clinical picture of hemorrhage develops. The child becomes pale, flaccid, temperature rises to 38.5°С, dyspnea, restlessness. Anemia does not always develop. In palpation of the abdomen and of the loin, a distinct tumor of different size is detected. The abdomen is bloated. Sometimes hemorrhage (hematoma) descends from the traumatized adrenal to scrotum. Ultrasound and X-ray examinations confirm the diagnosis of rupture of the abdominal organs or of the retroperitoneal space. Laboratory data give little information. Aim of work was to present and analyze clinical observations of trauma of parenchymal organs of the abdominal cavity and retroperitoneal space (adrenals, liver, spleen) in newborns. In the hospital of pediatric surgery we observed seven children with damages to adrenals, three with trauma of the liver and one with rupture of spleen. No damages to the stomach, pancreas, duodenum, small and large intestine, kidneys and urinary bladder were recorded. Of seven newborns (three boys) with trauma of adrenal, three had a right-side trauma, two – left-side trauma and the other two – bilateral trauma. Conservative treatment (blood transfusion, plasma transfusion, hemostatic therapy) was given to four newborns, including those with bilateral damages. Three newborns were operated on. Below our observation is given. A boy, 3750 g, by the end of the 2nd stage of labor a mild squeezing was used. The child was born on 12.08.15 alive, pink, shouted loudly. In 28 hours she developed paleness of skin, vomiting, retardation. The abdomen was sharply bloated, in the right hypochondrium a large tumor-like fixed structure with distinct boundaries was palpated. A consultant – a pediatric surgeon – was called to the maternal hospital. The condition of the child was severe, shock, paleness, mild cyanosis of face. Blood pressure (BP) 40/0 mm Hg, pulse – 190/min. Respiration heard on both sides. The abdomensoft, bloated. Vomiting. In the right hypochondrium and the loin a fixed tumor-like formation 6.0х4.5 cm was palpated. Hematoma in the right scrotum. Hepatology Panel: Hemoglobin – 70 g/l, RBC count – 2.6х1012/l. Ultrasound examination of the abdominal cavity revealed a large infiltrate in the region of the right adrenal and kidney. After preoperative preparation lumbo-tomy was performed on the right. In the region of the right adrenal and paranephric fat a large (6.0х5.5х4.3 cm) hematoma was determined. The right kidney was intact. Hematoma was partially removed, hemostatic sutures were applied. To that place a rubber-gauze tampon was drawn. Postoperative course was severe, tampon was removed on the 10th day. The outcome was recovery. In the literature the rate of ruptures of the liver in newborns is represented by single observations [5,7,8]. In most cases newborns with rupture of the liver die at the stage of evacuation [6,9-12]. The main cause of liver damage is complicated deliveries with manual handling. Rupture of the liver may also result from resuscitation measures or asphyxia that supports sub capsular hemorrhages. The damages occur both in premature and in over mature newborns. Dangerous are small ruptures of the liver, when hematomas lowly increases in the size, and anemia remains hardly noticeable up to the moment of rupture of the capsule. A true catastrophe develops only after rupture of the liver capsule [3,10,13,14]. Three newborns observed by us, had damages to the right lobe of the liver. Two children died without operation. This is our observation. A boy K., 3.5 kg, born on 3.08.12 in spontaneous deliveries with cephalic presentation. Cephalohematoma. Condition after birth normal. On the 4th day the condition worsened, the child grew very pale, evidently flaccid and died in the ambulance car during transportation to the surgical department. On autopsy – rupture of the right lobe and capsule of the liver. In the abdominal cavity up to 200 ml of liquid blood. One newborn recovered after rupture of the liver. Our observation. A boy, 4.3 kg, born on March 12, 2014 with manual handling. After deliveries the child was pink, was breathing independently. On the 2nd day he presented with flaccidity and with fast development of paleness of skin. In 42 hours after birth he was transferred to the department of pediatric surgery in a severe condition: pale, moaning, with cerebrocranial symptoms. Hepatology Panel: RBC – 2.3х1012/l, Hemoglobin – 70 g/l. Parameters of the blood coagulation system were normal. Pulse was hardly palpable, 30/0 mm Hg. The abdomen bloated, dullness of percussion sound from the costal margin to the inguinal region. A huge hematoma was detected in the right part of the scrotum. US examination of organs of the abdominal cavity showed subcapsular rupture of the right hepatic lobe. After preoperative preparation the midline laparotomy was conducted under intubation narcosis (5.12.2014). On the lateral surface of the right lobe of the liver a rupture of parenchyma 6.0х1.0х0.5 cm was found. The liver capsule was ruptured, in the abdominal cavity about 250 ml of liquid blood were found. The wound of the liver and capsule was sutured. During operation blood was transfused (200.0 ml). A severe postoperative course. Recovery. Traumatic rupture of spleen in newborns is very rare, and, like rupture of liver, also runs two-stage course. According to V. Toshovsky (1987), rupture of spleen is associated with trauma inflicted in deliveries, and also with hypoxia in deliveries . Our observation. A boy, 4.2 kg, born on 29.10.2014. A child of the 3d pregnancy, vaginal deliveries after 40 weeks, with loop of cord. Squeezing was used. Apgar score – 7-8 points. At birth the condition was satisfactory. Starting from the 2nd day, worsening of the condition was noted; pale skin, tachycardia, cyanosis, BP 40/0 mm Hg, pulse rate 180/min. The abdomen bloated, soft, dullness of percussion sound in flank areas. US of the organs of the abdominal cavity showed a sub capsular rupture of spleen. In Hepatology Panel – anemia (RBC – 2.2х1012/l, Hemoglobin – 70 g/l). With the diagnosis of rupture of spleen, intraabdominal hemorrhage, 3rd degree hemorrhagic shock, the patient was delivered to the operating room after preoperative preparation. Intraoperatively, rupture of the splenic parenchyma in the region of porta and at the upper pole, rupture of the capsule were revealed. The abdominal cavity contained about 150 ml of blood. On the 2nd day after the surgery and stabilization of hemodynamic parameters the patient was transferred to the resuscitation department of a hospital of the district center. At the department of intense therapy of newborns the child was kept on artificial ventilation for 5 days. After normalization of the hemodynamic parameters and reduction of the need in the respiratory support, the child was extubated. The child was given antibacterial treatment and support with sympathomimeticsuntil removal from shock. Since the phenomena of paresis of the intestine were mild and there existed a probability for starting enteral load, only partial parente-ral feeding was used. After complete stabilization of the functions the infant was shifted to the next stage of care. Discharged on 14.11.2014 with recovery. Hepatology Panel: Hemoglobin 120 g/l, RBC 3.5х1012/l. Damages to the liver in newborns are less common than those of adrenals. Traumas of the liver mostly occur in the form of two-stage hemorrhages. The right lobe of the liver is damaged more often than the left one. A child is born healthy after manual handling. Then, in 3-4 days the condition sharply worsens with development of collapse, paleness of skin, dyspnea, vomiting, tachycardia, drop of the arterial pressure. The abdomen is bloated, sometimes dullness of percussion sound in the right part of the abdomen is detected. Blood tests show anemia. Damages to spleen in newborns are very rare, since this organ is more mobile in comparison with the liver. Treatment of traumas of adrenals is preferably conservative, however, 50% of newborns with trauma of adrenals undergo surgical intervention. Traumas of the liver and spleen always require surgical treatment. Damages of parenchymal organs of the abdominal cavity and of retroperitoneal space in newborns are very rare. More commonly adrenal is damaged, less commonly – the liver and spleen. The diagnosis of trauma of parenchymal organ in newborns is the reason for immediate transfer of a child to surgical hospital. Ashkraft KU, KHolder TM. Detskaya khirurgiya. SPB. : Pit-Tal; 1997. Vol. 2. Bairov GA. Neotlozhnaya khirurgiya detey. L.: Meditsina; 1973. Isakov YuF, Dronov AF, editors. Detskaya khirurgiya. Natsional’noye rukovodstvo. M.: GEOTAR-Media; 2009. Isakov YuF, Razumovskiy AF, editors. Detskaya khirurgiya. [Elektr. resurs]. M.: GEOTAR-Media; 2015. Geras’kin AV, Nemilova TN, Karavayeva SA, Mokrushina OG. Taktika vracha-neonatologa pri zabolevaniyakh, trebuyushchikh khirurgicheskogo vmeshatel’stva. In: Volodin NN, editor. Neonatologiya. Natsional’noye rukovodstvo. M.: GEOTAR-Media; 2008. P. 611-625. Znamenskaya T.K., Kurilina T.V. Medical-Ethical problems of the intensive care in extremely preterm newborns. In: Neonatology, Surgery and Perinatal Medicine. 2012;II(2-4):5-9. Podkamenev VV. Khirurgicheskiye bolezni u detey. M.; 2012. Razumovskiy AYu, editor. Detskaya khirurgiya. Natsional’noye rukovodstvo. [Elektr. resurs]. M.: GEOTAR-Media; 2016. Sushko VІ. ta іn. Khіrurgіya dityachogo vіku. Pіdruchnik. Kiїv: Zdorov'ya; 2002. Solov’yev AE. Detskaya khirurgiya. M.-Ryazan; 2016. Toshovski V. Ostryye protsessy v bryushnoy polosti u detey. M.: Avitsenum; 1987. Hadidi A, Subotic U, Goeppl M, et al. Early elective cesarean delivery befory 36 weeks vs late spontaneous delivery in infants gastroschisis. Journal of Pediatric Surgery. 2008;43(7):1342-6. doi: 10.1016/j.jpedsurg.2007.12.050. Copyright (c) 2019 Soloviev A.V., Shatskaya E.E.